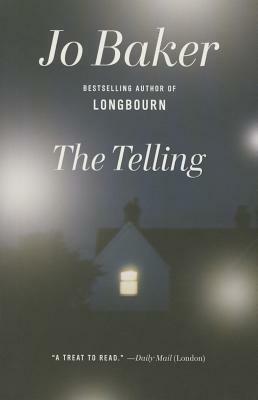 A ghost story of the most unusual kind, The Telling is a thrilling—and sometimes chilling—tale about two women, separated by almost two centuries, grappling with change and loss. After her mother dies, Rachel sets off alone to pack up and sell off the remnants of her family’s isolated country house. But from the moment she steps through the front door, she feels that the house contains more than she had expected. Generations earlier, a young housemaid, Lizzy, called the same dwelling home. On course for a life of service no different from her mother and her mother’s mother before her, Lizzy’s world is upended by the arrival of a mysterious lodger. Interweaving the two narratives, Jo Baker—best-selling author of Longbourn—brings these women, both struggling against their stations and their duties, vividly to life. Jo Baker was born in Lancashire and educated at Oxford University and Queen’s University Belfast. She is the author of Longbourn, The Undertow, and of two earlier novels: Offcomer and The Mermaid’s Child. She lives in Lancaster, England.